Home For4 Sweet Home: Week 16: Fun Friday Blog Hop Time! We had 101 blog hoppers!! Let me say my "thank you" to y'all that joined & followed Anne & Me last week. 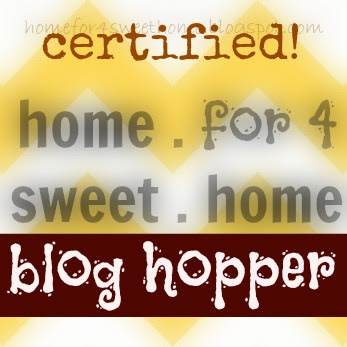 We only ask one thing - please grab our certified blog hopper button in return. I don't think this is too much to ask. So spread the news, FB,twitter, GFC, etc and let's all have fun blog hopping!